As of March 27, 2018, foliar application of GA3 (ProGibb LV Plus®, Valent BioSciences, Corp.) to ‘Hass' avocado trees in commercial orchards has been approved. Dr. Carol J. Lovatt, emerita professor of plant physiology at the University of California – Riverside, recently completed research concerning the effectiveness of ProGibb LV Plus® on avocado fruit size and yield. A summary of her research — including best practices — follows. ProGibb LV Plus® should be applied as a foliar spray when 50 percent of the trees in a block are at the cauliflower stage of inflorescence. If a grower cannot make an application at this time, it is best to apply the spray later, rather than earlier in order to ensure effectiveness. The spray should be applied like a pesticide spray — full canopy coverage with a focus on the inflorescences. Those applying the spray should avoid spraying to run-off. The ideal dilution for ground application is 12.5 fluid ounces of ProGibb LV Plus® (25 grams active ingredient [gai]) per 100 gallons of water/acre. For aerial application, use 12.5 fluid ounces (25 gai) in 75 gallons of water/acre. According to the research, the ideal application rate is 25g GA3 per acre; higher and lower doses were less effective. The pH of the water used should be adjusted such that the final pH of the spray solution is between pH 5.5 – 6.0. Dr. Lovatt utilized organosilicone surfactant Silwett L-77® or Widespread Max® at a concentration of 0.05 percent as a wetting agent. Similar pure organosilicone type surfactants would be acceptable as wetting agents. It is important to note that until additional research can be conducted, other materials should not be included in the ProGibb LV Plus® spray solution. 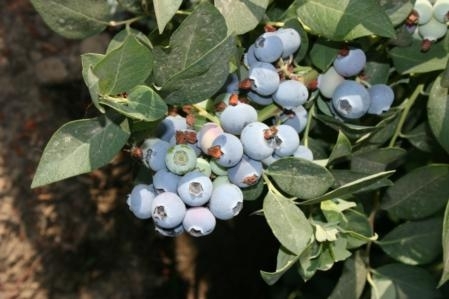 Dr. Lovatt's research team tested the effect of ProGibb LV Plus® on fruit size and yield for both ground and aerial applications. 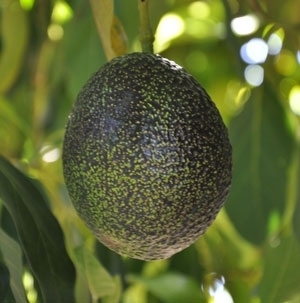 Overall, the research team noted that GA3 had no negative effects on ‘Hass' avocado fruit quality. Table 1. Effect of GA3 (25 g ai/acre) applied at the cauliflower stage of inflorescence development on yield and fruit size (pounds/tree) of ‘Hass' avocado trees in Corona, CA. z Values in a vertical column followed by different letters are significantly different at specified P-values by Duncan's Multiple Range Test at the P-values indicated. (From the work of Salazar-García and Lovatt, 2000). Table 2. Effect of GA3 (25 g ai/acre) applied at the cauliflower stage of inflorescence development on yield and fruit size as pounds and number of fruit per tree in an alternate bearing ‘Hass' avocado orchard in Irvine, CA. Table 3. Effect of GA3 (25 g ai/acre) applied at the cauliflower stage of inflorescence development at on yield and fruit size of ‘Hass' avocado trees in Somis, CA. Percent net increase reflects the benefit of GA3 at 25 g ai/acre relative to the untreated control trees. z Values in a vertical column followed by different letters are significantly different by Fisher's Protected LSD test at the P-values indicated. Overall, ground application of GA3 resulted in a net increase of 3,905 lb/acre, with a net increase of 4,851 lb/acre of commercially valuable size fruit (packing carton sizes 60+48+40; 178-325 g/fruit) and a net increase in large fruit (packing carton sizes 48+40+36; 213-354 g/fruit) of 4,488 lb/acre. Aerial applications were tested on groves located in Pauma Valley and Carpinteria, California. Together, the aerial applications demonstrated that GA3 increased fruit set (fruit retention) by 55 percent into the last week of August and fruit size by 6 percent through mid-August. The tests were conducted by the California Department of Pesticide Regulation, which for three decades has been conducting one of the most comprehensive pesticide monitoring programs in the country. 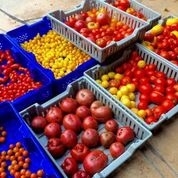 39.8% (1,434 of 3,600 samples) had no pesticide residues detected. 55.8% (2,010 of 3,600 samples) had one or more detected pesticide residue less than or equal to established tolerances. As in recent years, the majority of these samples had residues at less, usually much less, than 10% of the tolerance level. The department also tested 170 fruits or vegetables labeled organic and 85.3% had no detectable pesticide residue, 11.8% had residues acceptable under organic regulations, 2.4% had residues acceptable in conventionally grown produce but not organic, and 0.6% had unacceptable residues. Certain products from China and Mexico had the highest level of illegal pesticide residues detected. With the detection of Huanglongbing (HLB) in California in 2012 and 22 additional cases reported during 2015 through June 2016 there is a major concern among citrus growers about the spread of this incurable bacterial disease. 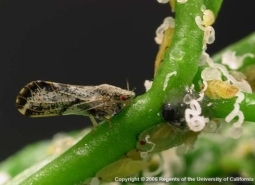 The vector of the disease, the Asian citrus psyllid (ACP), is a hardy insect with good dispersal capabilities and can be found in many southern California citrus groves today. With no direct cure for HLB at present, the only option for growers to combat the disease is to control the psyllid. This can prove difficult for conventional citrus growers with broad spectrum insecticides, but for organic citrus growers, which grow an estimated 7% of citrus in California, the task is even more difficult with the currently available options. Entrust (spinosad) + oil, Pyganic (pyrethrin) + oil, and oil alone are currently the recommended and most widely used insecticide options for organic growers (UC IPM Guidelines for Citrus). While these insecticides are fairly effective in killing ACP if they make direct contact, the residual life of these pesticides is very short (days) compared to conventional insecticides (weeks to months). For example, in our petri dish studies, 10 fl oz/acre Entrust SC + 0.25% Omni supreme spray oil caused 89% mortality, 17 fl oz/acre Pyganic 5.0 EC + 0.25% Omni supreme spray oil caused 73% mortality and 0.25% Omni supreme spray oil caused 42% mortality when 1st-2nd ACP nymphs were exposed to treated leaves one day after application. Nymphal mortality continued to decline for the Entrust + oil treatment (69% mortality) and even more severely declined for Pyganic + oil (27% mortality) 3 days after treatment. In contrast, one-day-old residues of a conventional insecticide, the neonicotinoid 5.5 oz Actara (thiamethoxam), resulted in more than 95% mortality of nymphs and mortality remained high for more than a month. Studies of grower orchard treatments confirmed laboratory studies that showed a short residual effect of organic treatments (Entrust + oil and oil alone) compared to conventional insecticides (Actara). We monitored changes in population densities of ACP (adults by tap, nymphs and eggs by flush examinations) in the fall of 2015 before and after a grower sprayed separate orchards with one of three insecticides; 1) 1.25% 440 Supreme Spray Oil by ground application (400 gpa), or 2) 9 fl oz Entrust SC + 1% oil by air (50 gpa), or 3) 5.5 oz Actara by air (50 gpa). The oil treatment had little effect on the adult population, but significantly reduced psyllid nymph densities for 17-24 days. Entrust was completely ineffective in controlling psyllid nymphs, but suppressed adult and egg populations for about 14 days. 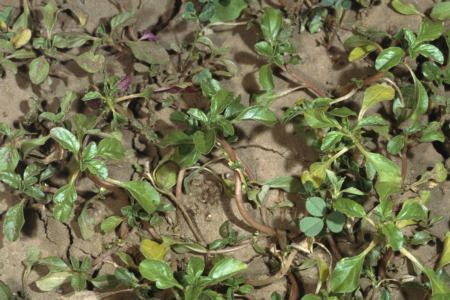 Actara, a conventional insecticide, was the most effective treatment in the study and provided more than 5 weeks of both adult and nymph control. Because of the short residual effect of organic insecticides in citrus, repeat treatments are needed at a frequency of about every 2 weeks for ACP control. Tamarixia radiata wasps released for biological control of ACP provide 20% to 88% parasitism depending on geographical location and time of year. If there were no disease to be concerned about, this level of parasitism by Tamarixia would be sufficient to protect citrus from the feeding damage of the psyllid. However, the disease spreads rapidly with just a few psyllids and so a greater level of control is needed. Generalist predators, such as lady beetles, lacewings and assassin bugs, also assist with control. Argentine ants can severely disrupt this parasitism by protecting psyllids from natural enemies. Unhappily, Entrust + oil, thought of as a very selective insecticide combination, was found to be highly toxic to adult Tamarixia wasps exposed to 3 day old residues. Thus, the organic insecticide that is the best for controlling the psyllid pest is not compatible with the parasitoid natural enemy, limiting our ability to use integrated strategies to control the psyllid. At present, it is not mandatory, but is strongly recommended, that all southern California citrus growers treat their orchards in an area wide manner. The area wide program consists of coordinated treatments twice a year (winter and fall), and additional treatments in between. Due to the short residual nature of organic insecticides, organic applications should be applied twice within 10-14 days of each other for every single conventional insecticide application. This is especially important for younger groves as ACP nymphs thrive in new flush. Organic growers have a tough decision to make between treating frequently for ACP and the high cost associated with those treatments or transitioning into conventional management in order to more effectively control ACP. Additional solutions are needed for organic citrus.